Last week Kylie Jenner and rapper boyfriend Travis Scott welcomed their daughter Stormi Webster to the world. Just when they are settling in with their baby, ex-boyfriend Tyga is coming out, saying he wants a DNA test because the baby could be his. It should be recalled that Kylie and Tyga broke up a little less than nine months ago and immediately after Kylie revealed that she was now dating Travis Scott. According to Elle Uk, Tyga wants a DNA test because he really thinks that there is a chance this baby could be his. Tyga also told friends that he was still sexually active with Kylie nine months ago, when this baby was likely conceived,’ the source revealed. 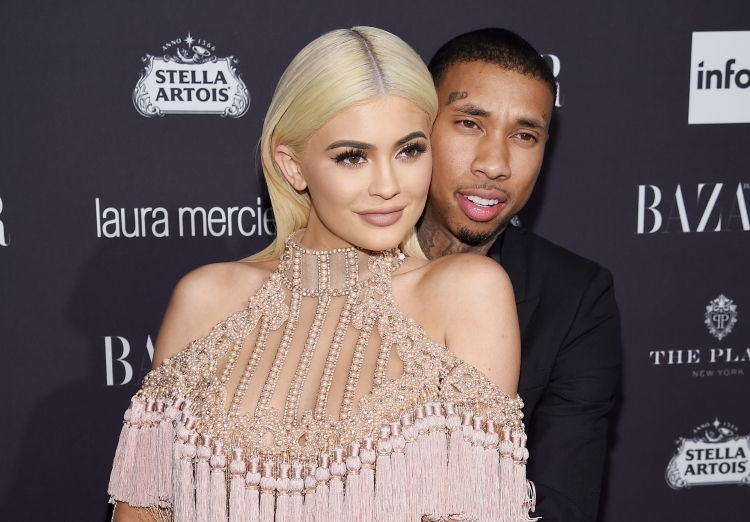 Tyga told friends that he was still sexually active with Kylie nine months ago, when this baby was likely conceived,’ the source revealed. Elle Uk further reported that the rapper misses Kylie and ‘wants to meet the baby’ so that he can man up and take up his reponsibility. There has been no official world from the Kylie Jenner and Travis Scott to support or refute what Tyga is saying.